So, I'm not religious by any means, but I was raised Catholic and it always troubled me how joyless nativity scenes looked. I mean, c'mon, your savior is being born! 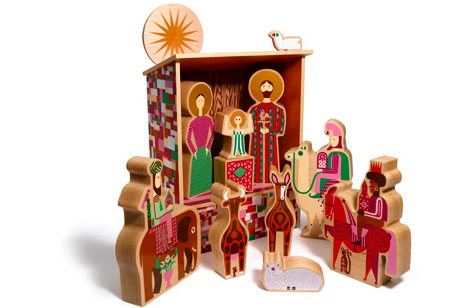 This Alexander Girard nativity set is everything that I think the [religious Christian] holiday should look like, and it would look swell under the tree, too.